Kalmar, part of Cargotec, has been awarded the contract to increase the operating height of three ship-to-shore (STS) cranes by six metres for Terminal de Contenidors de Barcelona, S.L. (TCB) in Spain. 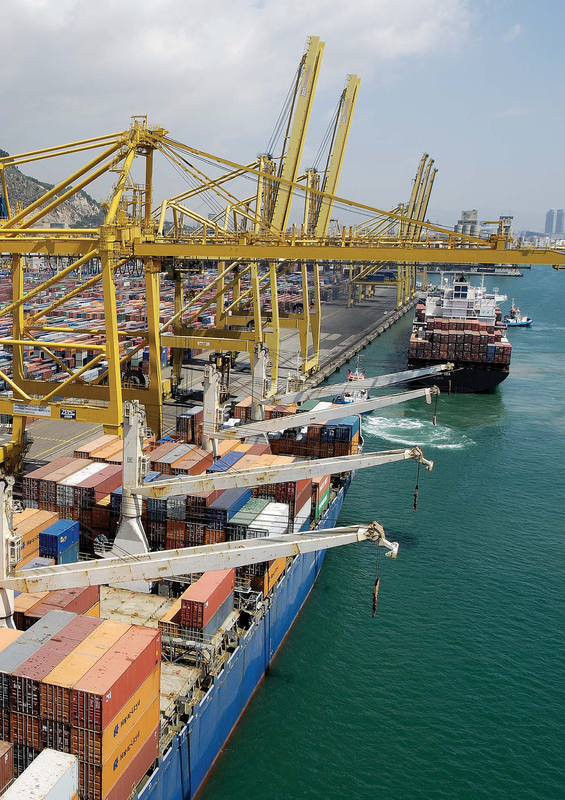 The project has been generated in anticipation of increased container traffic brought about by the arrival of larger vessels at the port of Barcelona. The order was signed in April 2014. The work is expected to begin in the third quarter of 2014 with completion for all three cranes by the end of this year. Terminal de Contenidors de Barcelona at Muelle Sur wharf, with a current annual capacity of 2.3 million TEU, is one of the main logistics platforms in the Mediterranean. Its focus is the development of intermodal container traffic throughout South Europe, where increasing its front line ship-to-shore crane capacity is an important strategic development for the business and its competitive positioning in the market. The cranes, originally provided by another supplier, will be heightened by Kalmar's Crane Upgrades team in the region. The scope includes complex engineering works and coordination of the project through to completion. Heightening an STS crane, which can weigh up to 2000 tonnes, involves the use of Kalmar's specialist jacking device in order to insert heightening construction and raise the whole crane by six metres, reaching 47m under spreader. Additionally, to maintain the rigidity of the structure, the sill beam is strengthened and braces are installed on the waterside portal frame. Gonzalo Serrano, Equipment Director at the Grup TCB: "With the arrival of larger vessels it was imperative that we found an effective solution to increase the handling capacity of our STS cranes and maintain maximum container throughput. Kalmar's expertise on crane upgrades really ticked all the boxes for us. Not only were they able to offer a highly innovative engineering solution but also provide an impressive timing schedule, meaning the minimum disruption to our operations. We are confident that the project is in the right hands." "Kalmar has a lot of experience in similar type of successful projects worldwide," says Eduardo Prat, Vice President, EMEA South, Kalmar. "Our combination of competencies including consultancy, engineering and planning all the way to execution makes us unique. We are proud that we can help Terminal de Contenidors de Barcelona to build their future success."